As we’ve written before, installing a stair lift – also known as a stair glide – in your home can transform the way you live. Are you worried that you’ll fall while trying to get up and down your steps? A stair lift can help. Do you spend hours trying to figure out how you can turn one of your downstairs rooms into a bedroom or bathroom because your second floor has been rendered off limits? A stair lift can help. Is someone in your family recovering from an injury, or dealing with a disability? A stair lift can help with that too. Today’s stair lifts represent the height of reliability and safety, but like any piece of medical equipment, they need to be used properly. 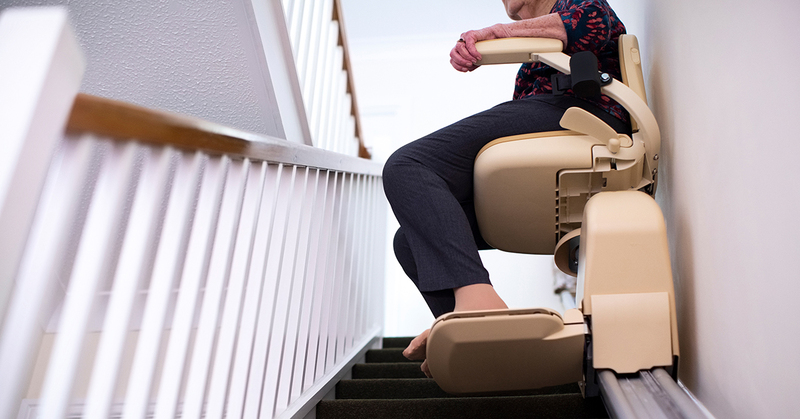 Here are seven things you should do to make sure you’re using your stair lift safely. 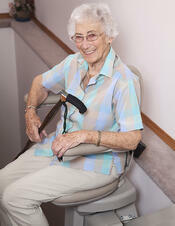 Just like in your car, seatbelts on your stair glide are a must. A stair lift provides you with a smooth ride, but it’s still important to exercise caution by buckling up. Most modern stair lifts are designed with seats that fold up to clear a path for people using the stairs. Make sure you fold up the seat after every use to keep people from tripping/stumbling as they go up and down the steps. Scarves, blankets, long jackets and skirts and other loose items could get jammed in the stair lift machinery, causing injuries and damaging the equipment. Make sure you have all loose items tucked away before using your stair glider. Another feature you’ll find on most modern stair lifts: an obstruction sensor, which can detect when something is in the path of the lift and automatically stop. Still, you should always make sure pets are out of the way before you operate the lift. Stair lifts are not meant to carry more than one person. Never attempt to transport multiple people, even if that means riding with a kid in your lap. Make sure you don’t exceed the stair glider’s posted weight limit. And finally, don’t use the lift to carry heavy objects up or down the stairs. A stair lift is not a toy. Kids should never use one without adult supervision. In fact, stair lifts designed for children often come with features that prevents kids from using them without an adult present. And avoid drinking (or having any type of liquid) near your stair lift. If you need to transport a liquid, do so with a covered container. 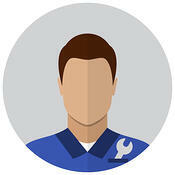 Routine maintenance by a professional can help you make sure your stair glide is safe to use. You should stop using it if any of its safety features have begun to behave in an unusual manner or just stop working or if you spot signs of wear and tear. Don’t try to fix things yourself, as this could cause further damage and void your warranty. 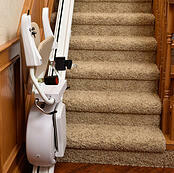 Are you ready to install a stair lift in your home? 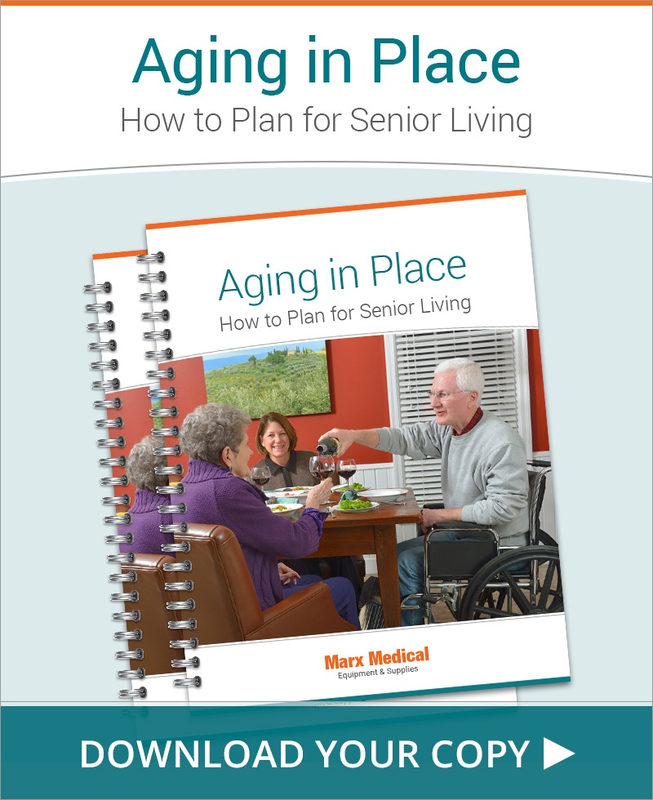 Marx Medical Equipment can help. Our experts can work with you and your family to make your home a safer and more accessible place.